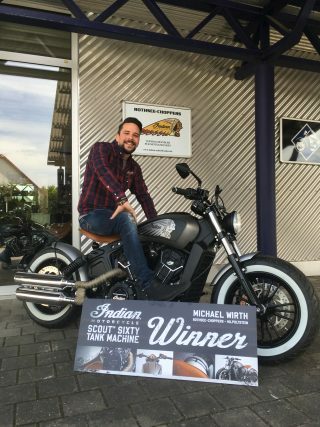 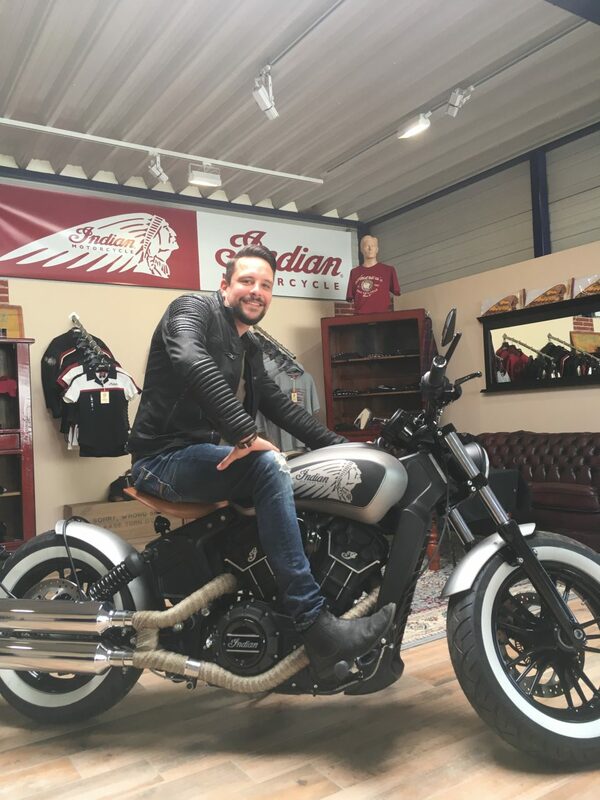 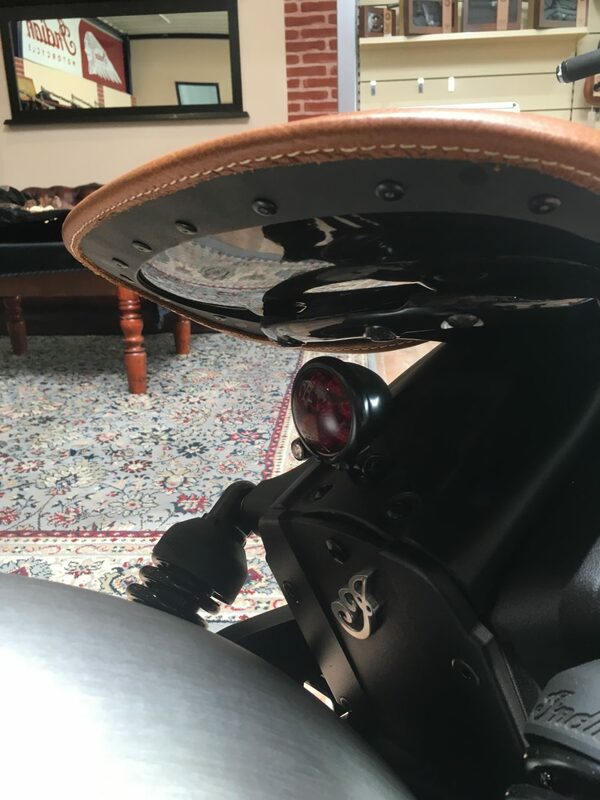 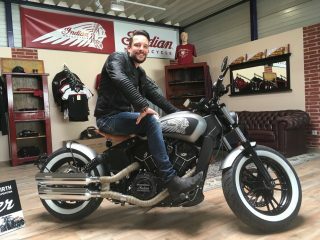 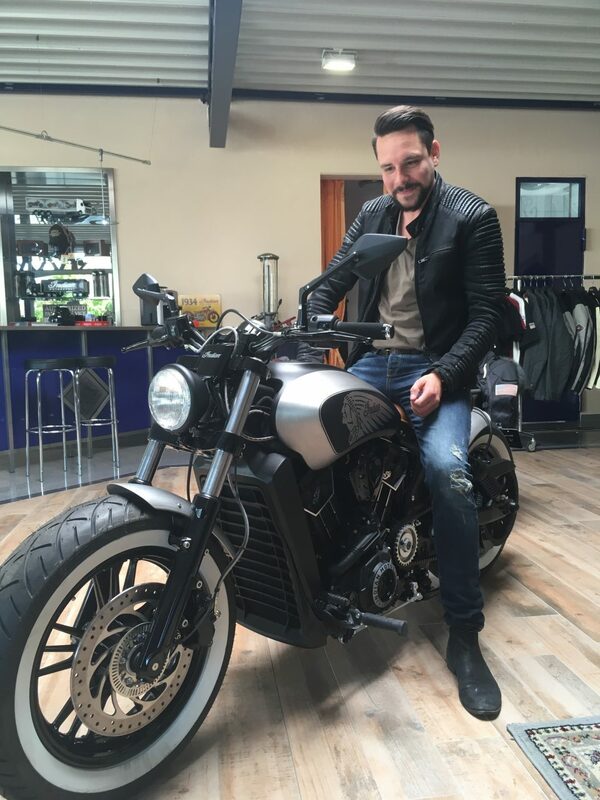 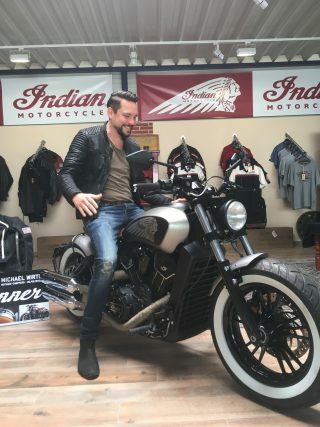 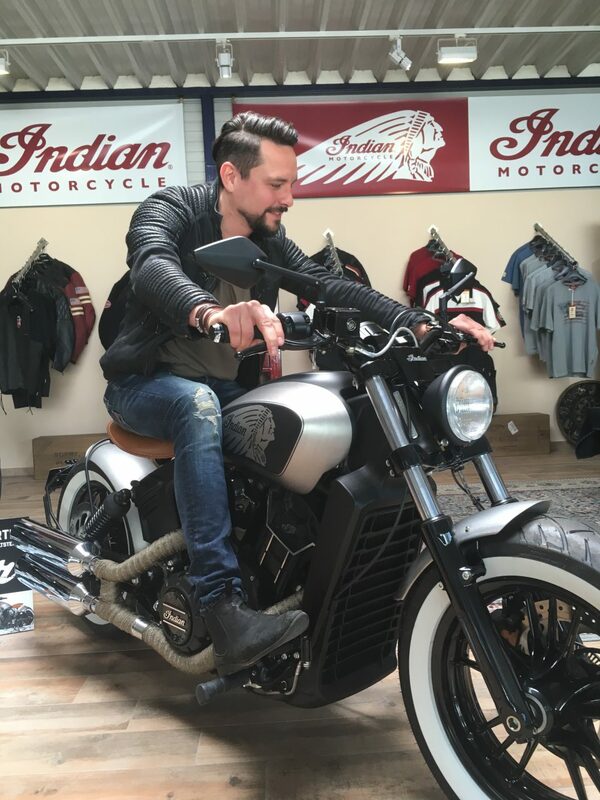 Over the past six months anyone taking a test ride on an Indian Motorcycle in Germany, England, the Netherlands, Belgium, France, Norway and Spain were entered in to a draw to win a special Scout Sixty. 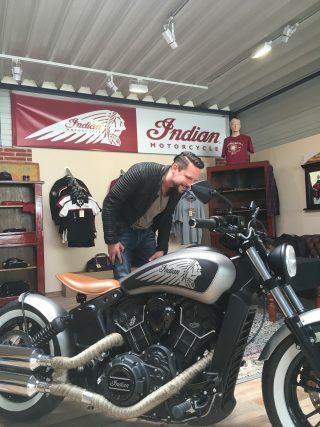 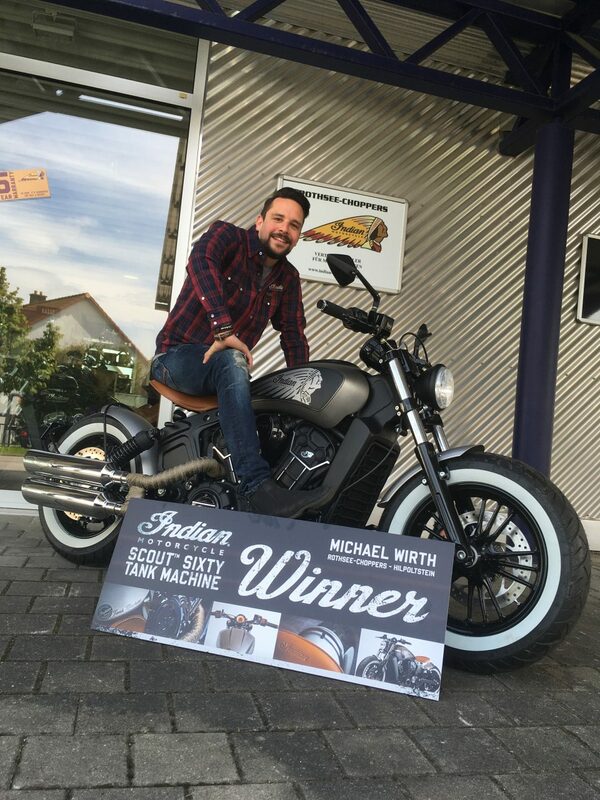 Around 1,600 people took test rides and registered for the draw and today Indian Motorcycle is happy to announce the winner of the draw is 33-year-old Michael Wirth from Germany. 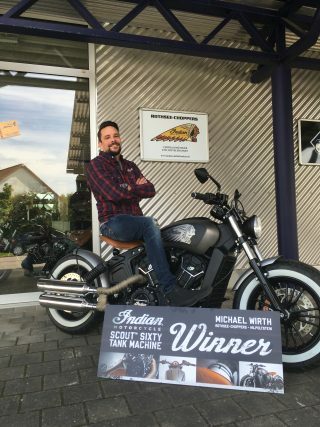 Michael was presented with the bike and keys at the German Rothsee-Choppers dealer in Hilpolstein. 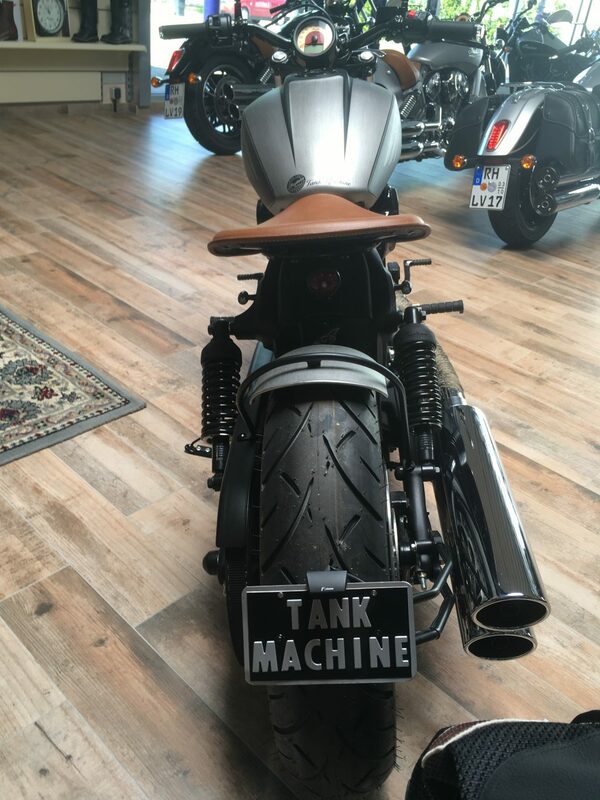 The Super Scout Sixty Tank Machine was built by a French designer called Clement Molina who runs a shop called Tank Machine. 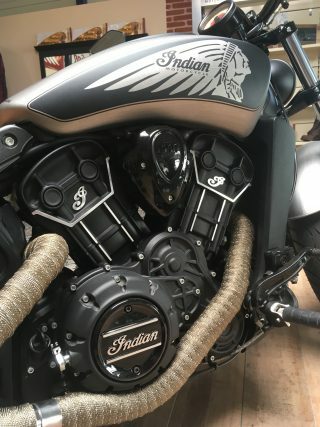 He built this bike in partnership with Indian Etoile (a Paris based dealer 22 Avenue de la Grande-Armée, 75017 Paris) for the Project Scout competition and was then put forward as the main prize for Indian’s test ride campaign. 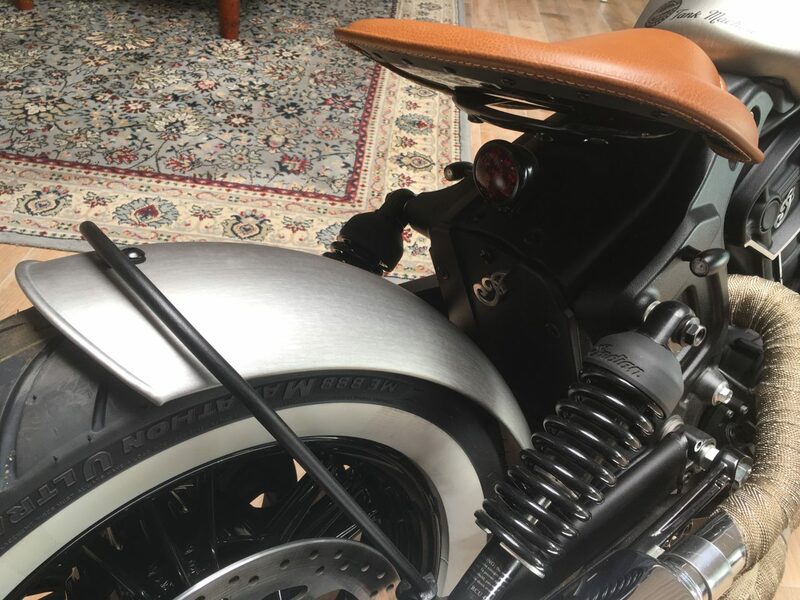 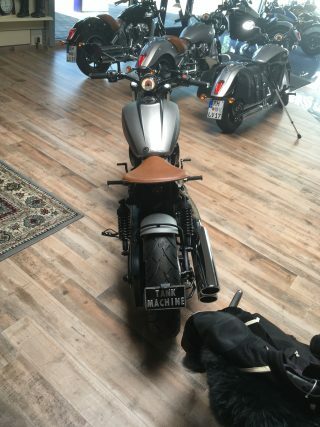 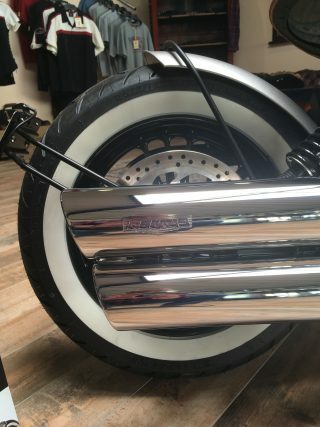 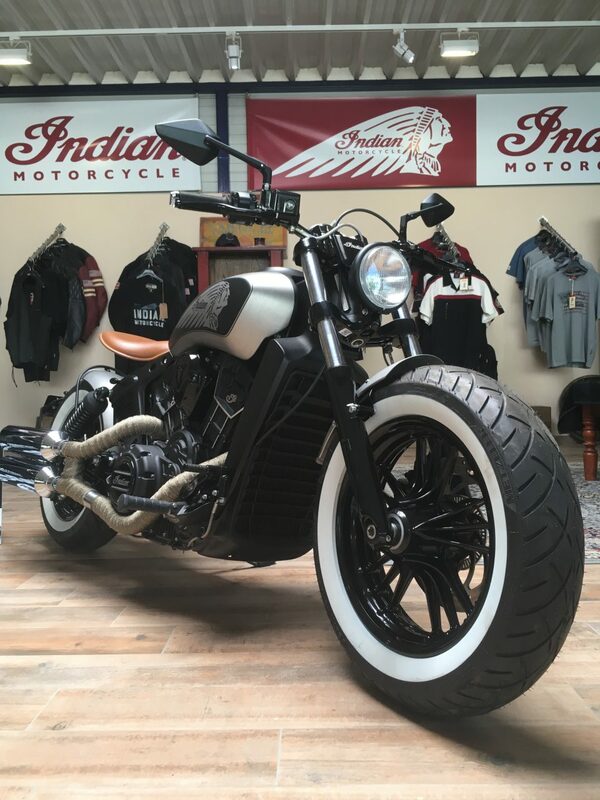 It’s a unique, bare-look bike in bobber style. With white-sided balloon tyres, a leather seat, straight handlebars and a twin aluminium Supertrapp exhaust system, this Scout Sixty really stands out. Test rides are always available at dealers throughout Europe and in some countries an Indian truck is touring around for the brand’s annual Roadshow. 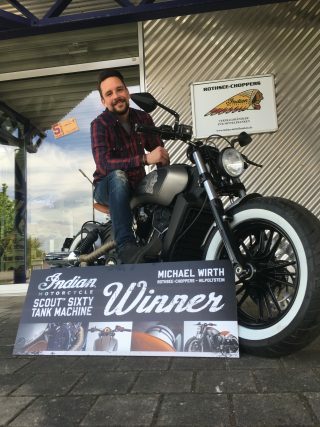 Here’s a brief Q&A with the winner Michael Wirth. Q: Tell us who you are? 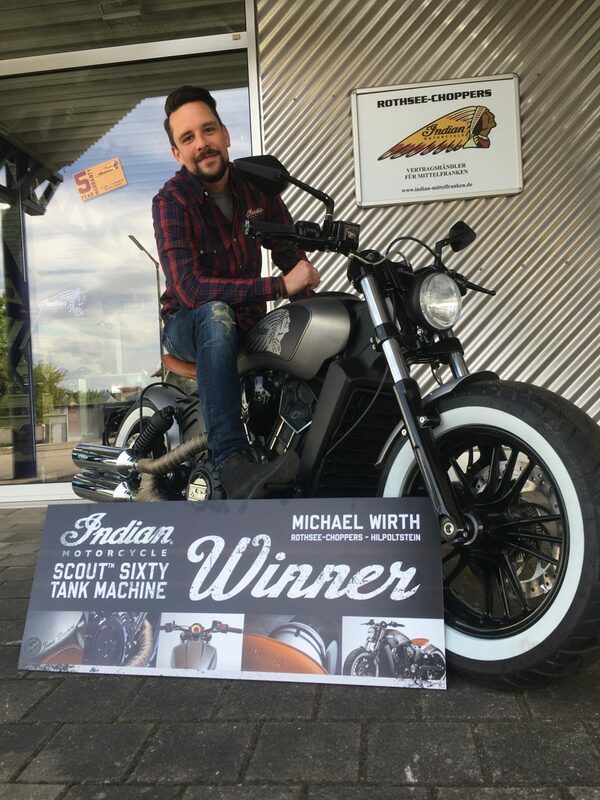 A: My name is Michael Wirth and I am 33-years-old. Q: What is your job and what leisure activities do you enjoy doing? 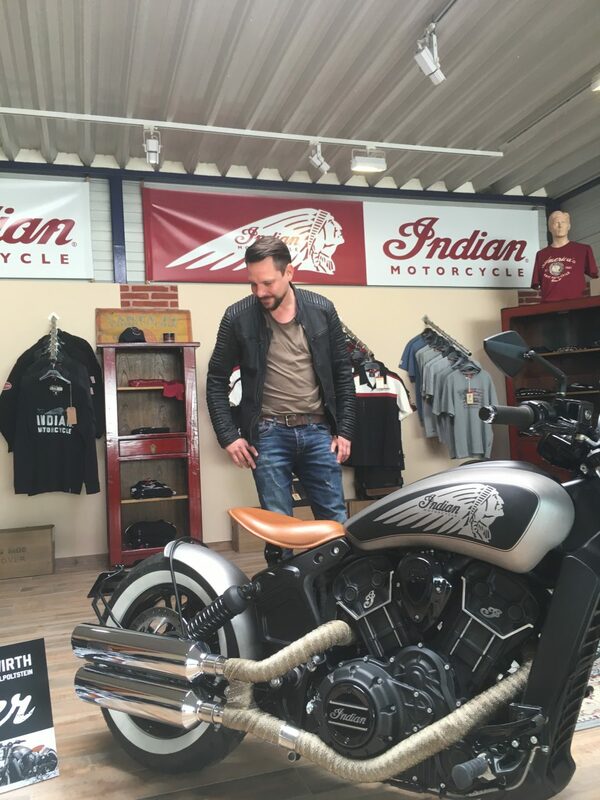 Q: What inspired you to become a biker? Q: What do you like most about motorcycling? Q: What do you dream of doing next?